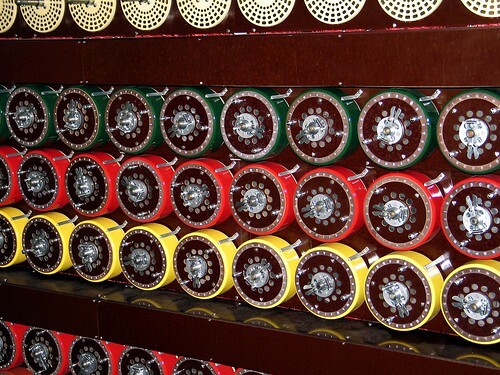 The Bombe was an electromechanical device used by British cryptologists to help decrypt German Enigma-machine-encrypted signals during World War II. It was a substantial development from a device that had been designed in 1938 by Polish Cipher Bureau cryptologist Marian Rejewski, and known as the "Cryptologic Bomb". 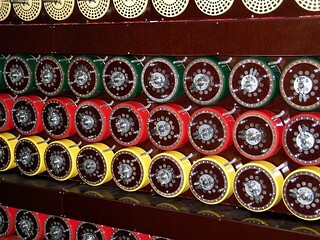 The initial design of the Bombe was produced in 1939 at the UK Government Code and Cypher School at Bletchley Park by Alan Turing, with an important refinement devised by Gordon Welchman. The engineering design and construction was the work of Harold Keen of the British Tabulating Machine Company.